Keep focused on what matters to you. Keep hearing what your grandmother told you. Keep learning. Keep living your values. Keep demanding fairness and responsibility. Keep having fun. Keep your hands on the wheel. Keep your eyes on the far horizon. Keep your great-great-grandchildren in mind. Keep loving. we would love to meet. We know that how you manage your assets shouldn’t be isolated from how you manage your life. The ideals you value, the dreams you pursue, the lessons you hope to pass on to your kids are all as important to a successful investment program as any spreadsheet, any chart, any data. If we’re going to do the best possible job for you, we need to learn who you are. What excites and motivates you? What are your fears? Where do you want to go and who is on this journey with you? This deep discovery will allow us to focus our efforts on what is meaningful to you. Almost all of our everyday activities involve striking a balance. Balancing flavor with calories, horsepower with mileage, career with family life. Everything, it seems, comes down to tempering one impulse with another. And wealth management is certainly no exception. 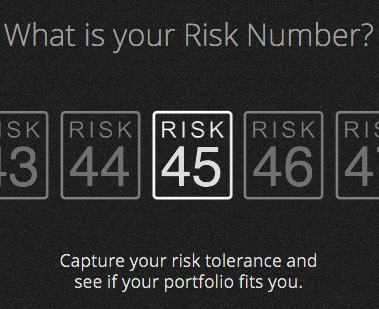 Where is your own comfort point between return and risk? We take a lot of care to make sure our clients feel comfortable and relaxed. Our office is homey, and our interactions conversational and jargon-free. But behind the quiet kitchen-table familiarity is the power of our access to Raymond James. From our tidy bungalow on Merrimon Avenue, you’ll be plugged into the resources and insights of a global leader. Can you say “triple tax-advantaged” five times fast? Me either. But, now that I have your attention, let me add a triple tax-advantaged tool to your arsenal — because anything triple tax-advantaged deserves an exclamation point (or two). Often referred to as an HSA, a health savings account is a (triple!) tax efficient way for individuals to save for health care expenses. And even though HSAs have been around for a while now (they were created as part of the Medicare Modernization Act of 2003), I still find that many people who might benefit from HSAs know little about them.